It is now widely accepted that international human rights law applies in situations of armed conflict alongside international humanitarian law, but the contours and consequences of this development remain unclear. 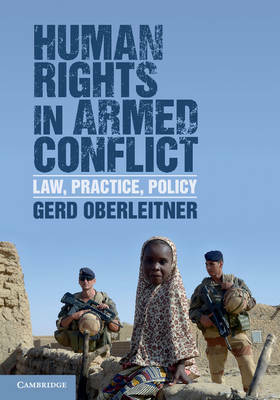 This book revisits, organizes and contextualizes the debate on human rights in armed conflict and explores the legal challenges, operational consequences and policy implications of resorting to human rights in situations of inter- and intra-state violence. It presents the benefits and the drawbacks of using international human rights law alongside humanitarian law and discusses how the idea, law and policy of human rights influence the development of the law of armed conflict. Based on legal theory, policy analysis, state practice and the work of human rights bodies, it suggests a human rights-oriented reading of the law of armed conflict as feasible and necessary in response to the changing character of war.